Hope that all of you had a fabulous 4th of July of weekend! We hosted a family cookout, and were able to enjoy a gorgeous firework display from our own backyard which was really neat! 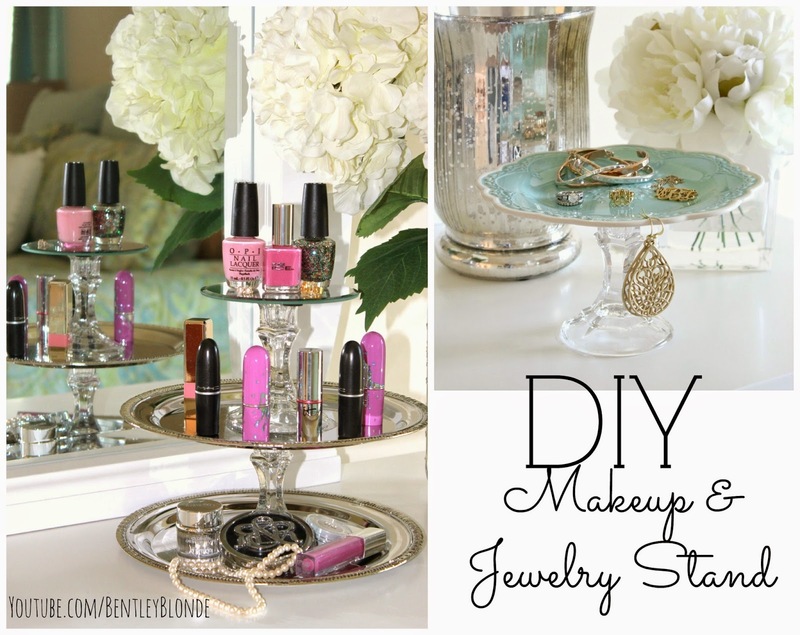 Today, I wanted to share 2 chic and simple DIY jewelry & makeup stands that I recently created using products from the Dollar Tree dollar store! I filmed a quick tutorial video showing everything that I used for these projects, and how I made them, Be sure to check out my Youtube video HERE. 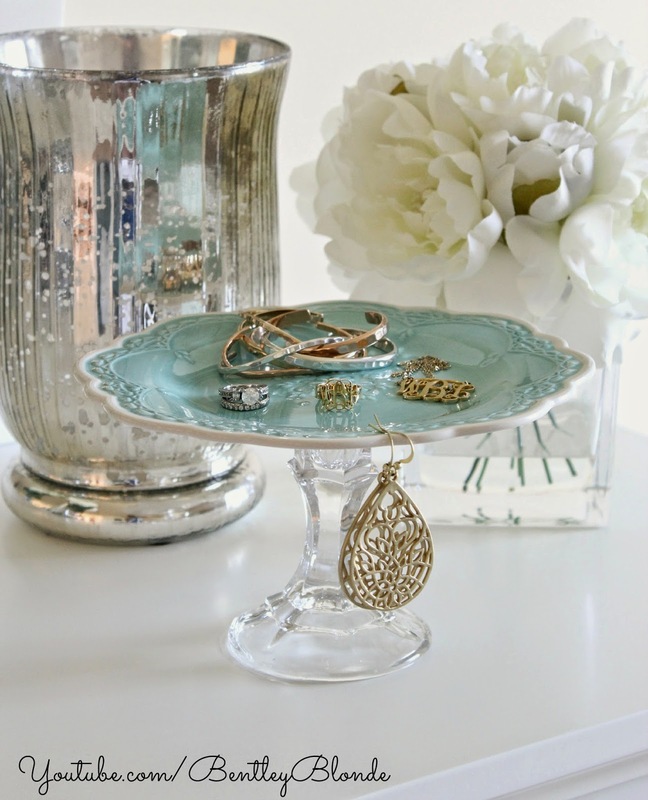 Or Pin this idea for later! Pin This HERE. Love these makeup stands! I was just going to make a blog post on my favorite DIY vanities. Unfortunately I have WAY too many makeup items to only use makeup stands - gotta use huge bowls to fir everything in.